Peggy and Stan declare their love to one another. 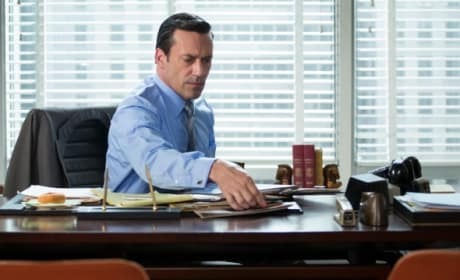 Take it all in, Don Draper. 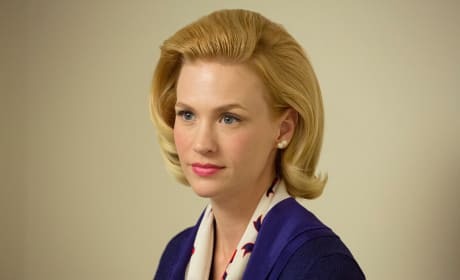 This is a photo from the series finale of Mad Men. Yes, it's sadly all over. 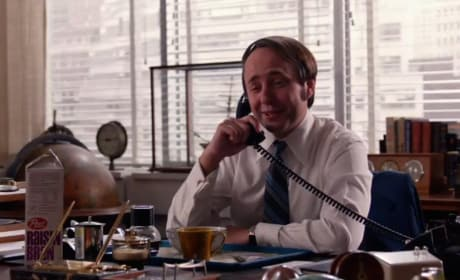 Pete is holding a cactus in the series finale of Mad Men. 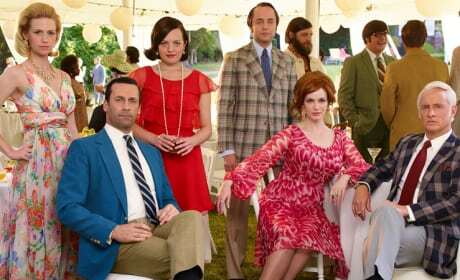 The stories of Don Draper, his colleagues and family come to an end on the series finale of Mad Men. "Person to Person" is the 14th episode of the show's seventh season. 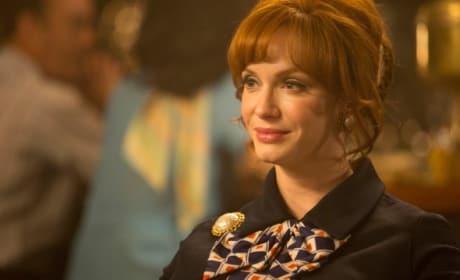 Pete ends up getting blindsided by a friend on Mad Men. "The Milk and Honey Route" is the 13th epsisode of the show's seventh season. Peggy needs a new office at McCann Erickson. Will she get one? Betty sits at the kitchen table reading a book. 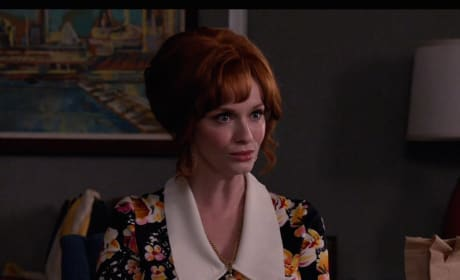 Joan has issues with a coworker on Mad Men. "Lost Horizon" is the 12th episode of the show's seventh season. 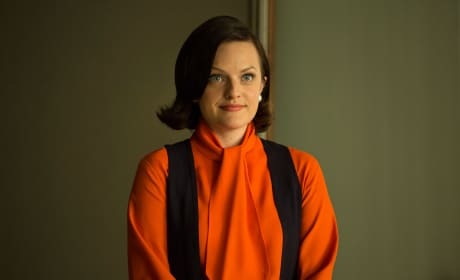 Roger needs Joan's help with a clerical error on Mad Men. 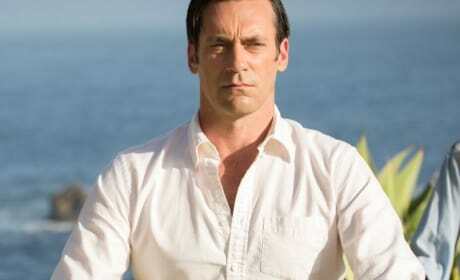 "Time & Life" is the 11th episode of the show's seventh season. 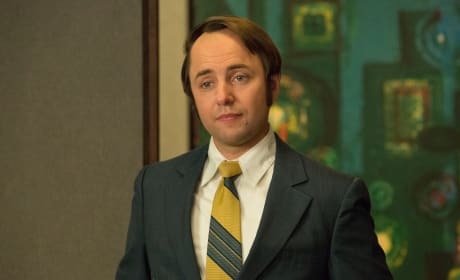 Roger pawns off a project onto Don on Mad Men. "The Forecast" is the tenth episode of the show's seventh season. 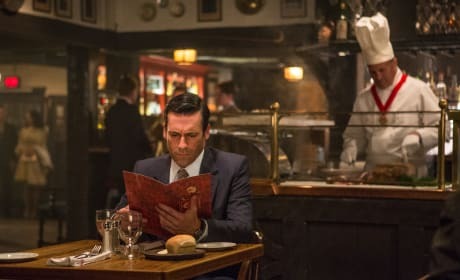 Don is on the hunt for a particular waitress in "New Business."